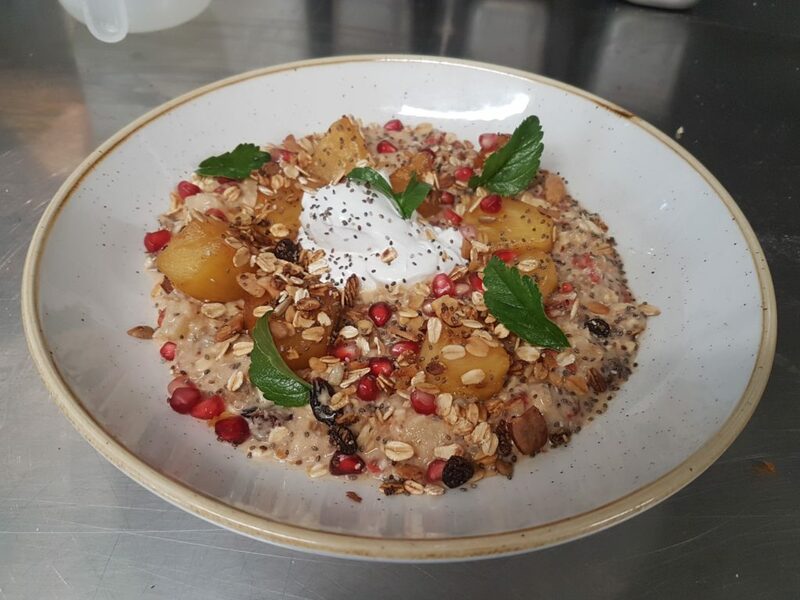 ﻿ Fig & Apple Bircher from Crave Cafe - I AM Co.
Crave Cafe is owned by a collective, a neighbourhood ‘whanaungatanga’. Some years ago, a few people got together and decided they wanted to make Morningside a better place to live. They asked the locals what the neighbourhood needed most and addressing social poverty was top of the list. So they chipped in and started Crave where all of their profit goes towards the community. One of the basic cravings of humanity is to connect with each other. The team at Crave think that outstanding coffee, superb food and engaging conversations in locally-crafted spaces are a brilliant way to show ‘manaakitanga’** to all. Mix all ingredients and allow to soak overnight.